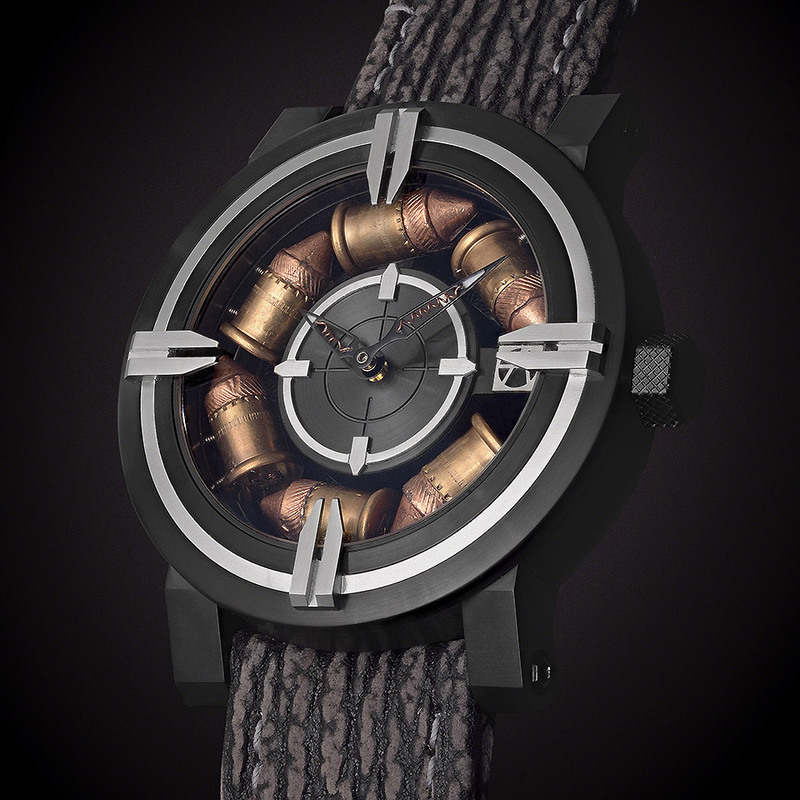 Self-winding movement entirely manufactured in Switzerland with an oscillating mass ballasted with three real .357 Magnum bullet-bases. 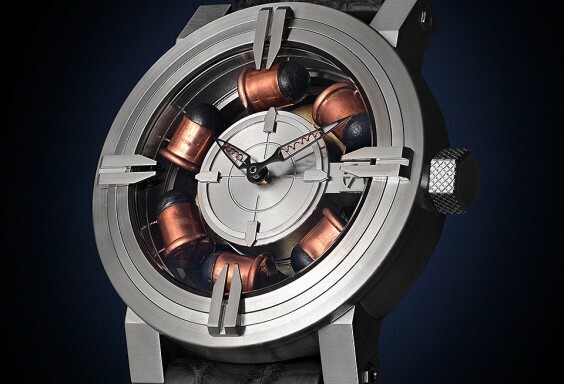 Around the dial, six real 6 mm Flobert bullets, previously shot (to avoid any troubles) and suspended. 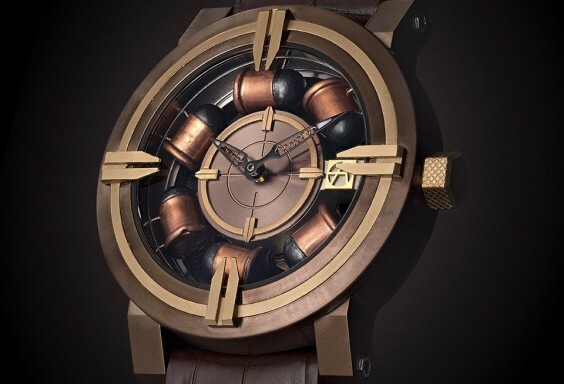 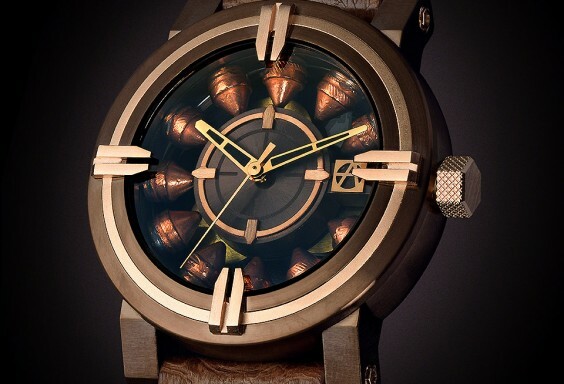 ArtyOr alloy(a mixture of gold, zinc & copper used from real bullet cartridges) target motives on the bezel and dial.